TIM SLOAN/AFP/Getty ImagesJames M. Simons hired people experienced with science, not finance, to build his company. Who among us hasn't looked through the annual Forbes 400 list and wondered what it would take to join those financial elites? 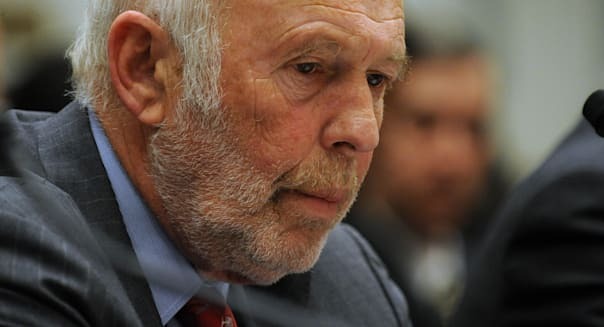 For James M. Simons, one of the most successful hedge fund managers in history, the path to mega-wealth began in a very ordinary way, as a math professor. Simons, the son of a shoe factory owner, began his fascination with math at an early age. "I wanted to do math from the time I was 3 years old," says Simons, who was raised in Boston. "Literally, I would think about numbers and spaces." That fascination led him to attend the Massachusetts Institute of Technology, where age 20 he received a bachelor's of science in math and then three years later a doctorate in the same field from University of California, Berkeley. Under normal circumstances those types of degrees would lead to -- and end with -- a career in academia, something he pursued first as a professor at MIT and then later at Harvard University. But Simons had a restless mind. In 1964, while teaching at Princeton University, the Institute for Defense Analysis -- a covert contractor for the National Security Agency -- recruited him into its cryptology division. For three years he worked on breaking codes and tracking military threats in the escalating Vietnam War, until one day his personal beliefs put him on the wrong side of his employer. His boss at the institute was Maxwell D. Taylor, a retired four-star general and vocal war hawk. In a 1967 New York Times article, Taylor defended the U.S. involvement in the war, something Simons disagreed with. In a response, also published by the The Times, he spoke out against a continuing military presence in Southeast Asia, encouraging America to pull out "with the greatest possible dispatch." Summarily let go, Simons soon found himself at a small Long Island college, Stony Brook University, where he headed the math department. He was 30. While at Stony Brook, Simons authored a paper titled "Characteristic Forms and Geometric Invariants" that put his star on the rise in the world of mathematics. The paper changed the way math was thought of and still has applications today in diverse areas, such as quantum physics and string theory. While at Stony Brook, Simons began to get involved in the stock market, trading in his spare time with the money he had received as wedding gift from his first marriage. Slowly he began to transition from academia to the business world and in 1978 made it official by starting Renaissance Capital with an office in a strip mall. His first fund -- Limroy -- was based on fundamental research, but Simons found that bored him so he decided to switch to a technical trading approach based on the theories he knew so well from the world of math. In 1988, he launched his Medallion fund, which incorporated futures, interest rates and currency trading. Simons continued to build Renaissance -- though not in a traditional way -- in the way he understood best. Job applicants with Wall Street experience were shunned, while those with a scientific backgrounds were hired. Simons staffed his company with hires from the best in physics, computer programming, cryptography and math. Simons, who at age 76 is technically retired, still stays involved with the company but more often can be found reading the latest mathematics papers or attending a benefit for one of the many charities he supports. A well-known philanthropist, one of the beneficiaries of his largess was Stony Brook. In a 2009 Simons gave the university $60 million, commenting, "It's because I'm very fond of Stony Brook. It was my first administrative job. I helped build the university in a modest way. I met my wife there." Subscribe to my newsletter The Lund Loop a free once-weekly curated slice of what I'm writing, reading and hearing about in the stock market.